Making the change to the education sector can prove to be a worthwhile and rewarding move. If you are looking to make a career switch, Change Your Career: Teaching as Your New Profession is the perfect resource for you. 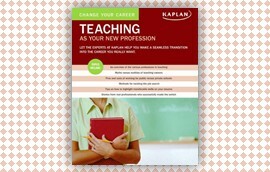 In this take-charge guide, you will find all the vital information you need to decide if teaching is right for you, and how to make a seamless transition into this new profession.